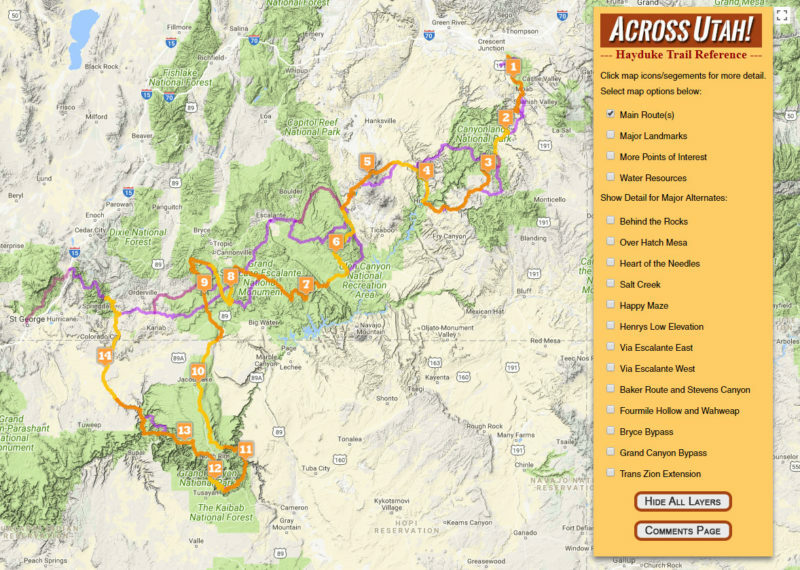 Hayduke: Interactive Map – Across Utah! 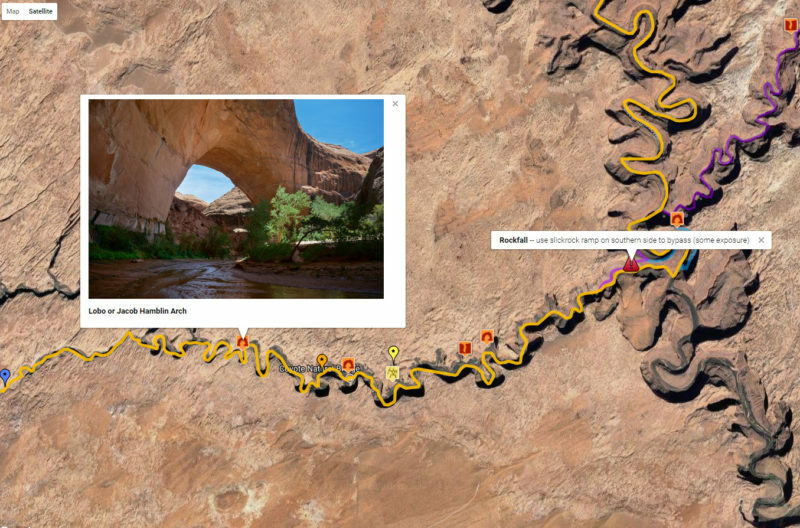 I’ve updated my Hayduke Trail Reference to include an Interactive Map. Similar to my Master Map, this feature showcases the official Hayduke Route and its major landmarks, points of interest and water resources. It also shows many of the possible alternate routes and diversions. Almost everything is clickable allowing users to see photos or get more detail via linked content on my site. Tagged Hayduke Trail, Maps, Utah. Once again, THANK YOU very much for sharing all these wonderful, inspiring places. This is fantastic Jamal. I could spend hours on here. 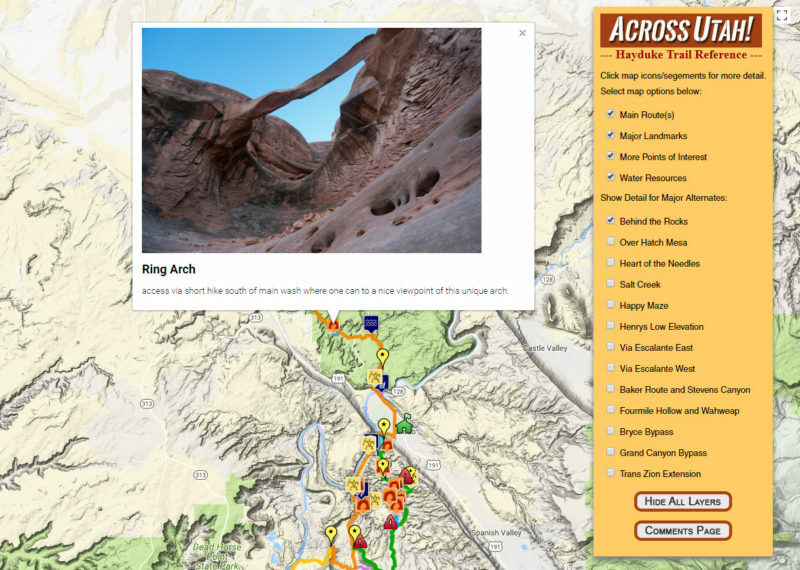 It seems there are no end of treasures in southern Utah.